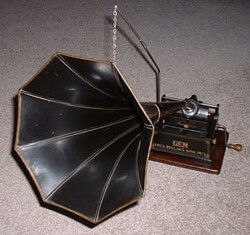 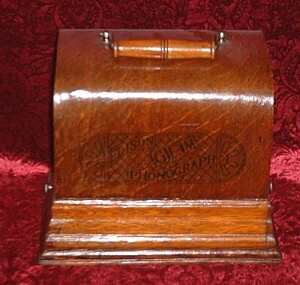 The Edison Gem phonograph came in several configurations, priced from $7.50-$15.00. 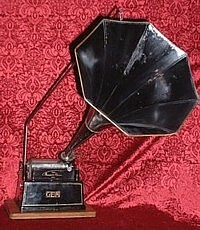 The earliest machines were black and had no case. 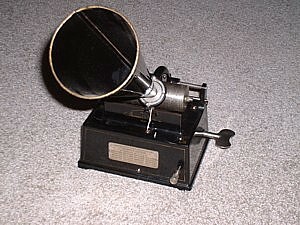 This was followed by several models that provided a case for the black machine. 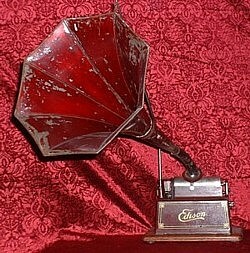 The final configuration was a maroon gem with a maroon Fireside horn.